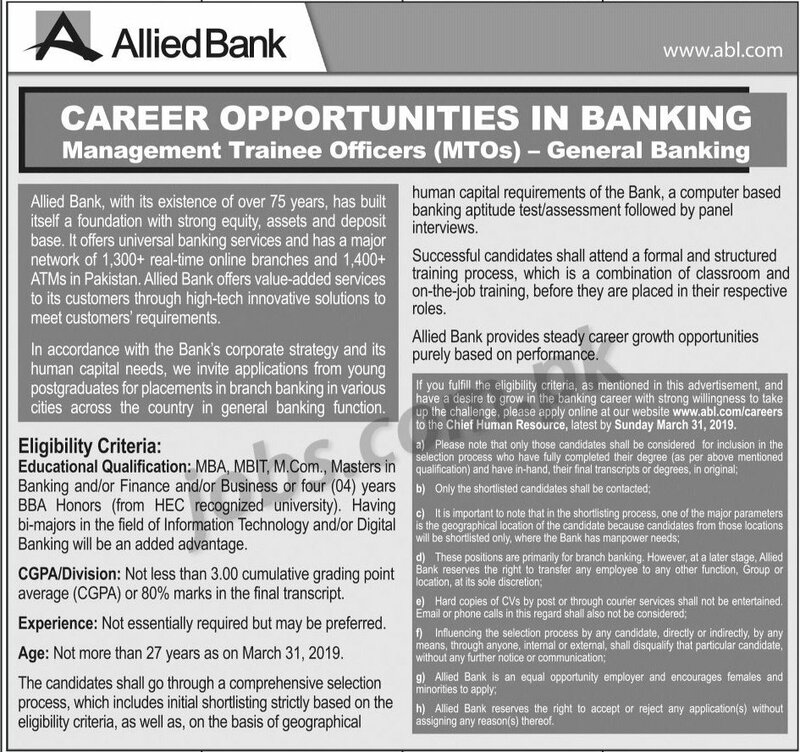 Allied Bank Management Trainee Programme 2019: The bank has announced its Management Trainee Program for the year 2019. Fresh graduates who have bachelors (BBA Honors) or masters (MBA, MBIT, MCom etc) are invited to apply to one of the Pakistan’s premiere banks in various cities across the country. In accordance with the Bank’s corporate strategy and its human capital needs, the bank invite applications from young graduates/postgraduates for placements in branch banking in general banking function. Eligible candidates must submit applications on or before 31st March 2019.